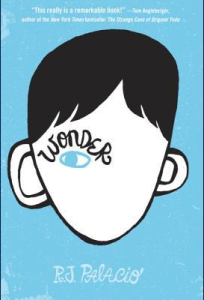 Yes, I’m late to this party, but thrilled I finally got the chance to read Wonder, the amazing middle grade but perfect for any age book about an extraordinary kid and his fifth grade experience. Moving, funny, smart. A delight to read, and I’d suggest it to just about anyone. My 10 yr old loved it. Thanks for the suggestion.